On Wednesday, June 22, Juju Chang investigates Twintuition, the special connection between twins that allows some siblings to share a language, know what the other is thinking or share physical sensations across distances. Wednesday, June 29, Nightline co-anchor Bill Weir journeys from Nazareth and Rwanda to Spain, Bosnia and across the U.S. to explore The Miracle Mysteries. These destinations have become pilgrimage sites for people who believe profoundly that the Virgin Mary has appeared to and communicated with ordinary people. Wednesday, July 6, Nightline co-anchor Terry Moran takes a closer look at the Battle with the Devil, a resurgent belief that satanic will or demon possession causes acts of evil. Can a real-life killer get away with the “demon defense” for murder? On Wednesday, July 13, Juju Chang and others unravel the power of the 21st century psychic. Psychic Power features a medium to the stars, psychic addicts who can’t make a decision without consulting a clairvoyant, and people who believe their pets are psychic. Wednesday, July 20, Bob Woodruff unlocks the mysteries of what he remembers in the terrible minutes after his vehicle hit an improvised explosive device and he saw his body floating below in a kind of whiteness. He speaks with others who report the same type of out-of-body experience and with theologians, preachers, neurologists, psychologists and anthropologists for The Other Side. Nightline‘s summer series builds on the success of a four-part exploration of the mystery and the science of the brain that aired in primetime last year. 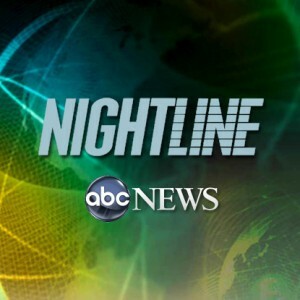 ABC News’ Nightline is anchored by Cynthia McFadden, Terry Moran and Bill Weir. John Donvan and Juju Chang are correspondents. Jeanmarie Condon is the Executive Producer. The program airs weeknights at 11:35 p.m., ET on ABC. I would like to get a recording of the Wed. 20th THE OTHER SIDE , Primetime show with Bob Woodruff. And will it be playing again ?